What is the Crux of This? Storm is going for a very aggressive top line ball. How usable will this be on a typical house shot? All I can tell you is it gets better the deeper you get! 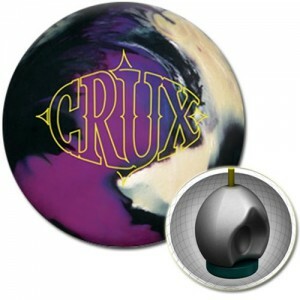 The Crux from Storm is in their Premier Line and comes with the top line price tag. As typical, very aggressive pieces that limit their own versatility get knocked down in terms of value. 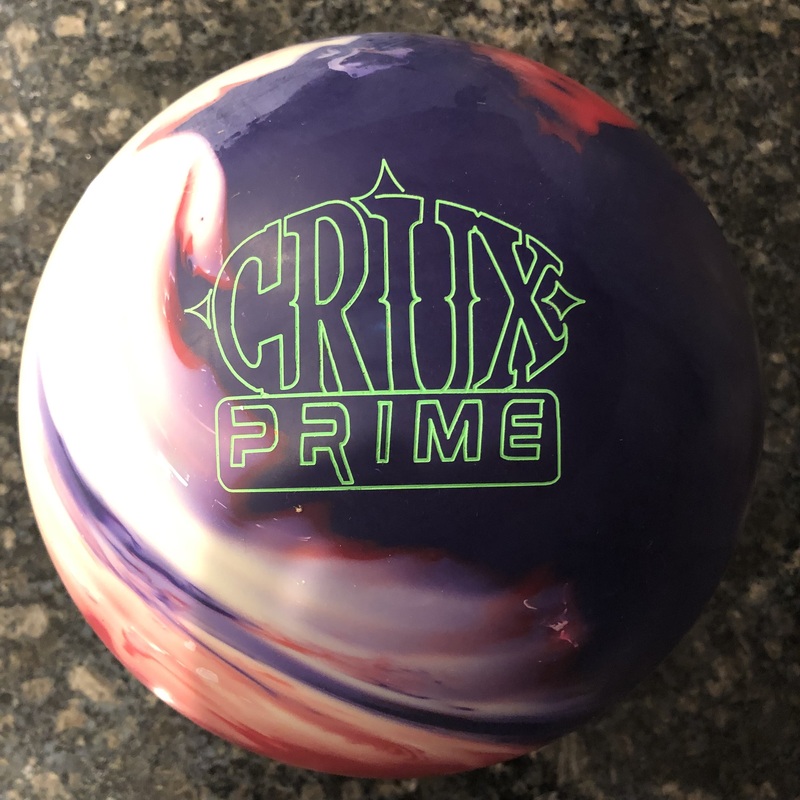 The Storm Crux has an all new core for Storm called the Catalyst™ Core. 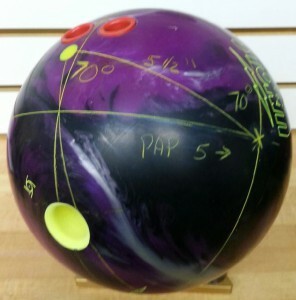 It’s an asymmetric weight block with an rg of 2.50, diff of .052, and intermediate diff of .017 for a 15 pound bowling ball. So a fairly low RG will help make this ball roll heavy. Then you have the ERG Hybrid coverstock finished with 3000-grit out of box. This makes for one aggressive ball overall. I am always a little leery of the very aggressive top line balls. 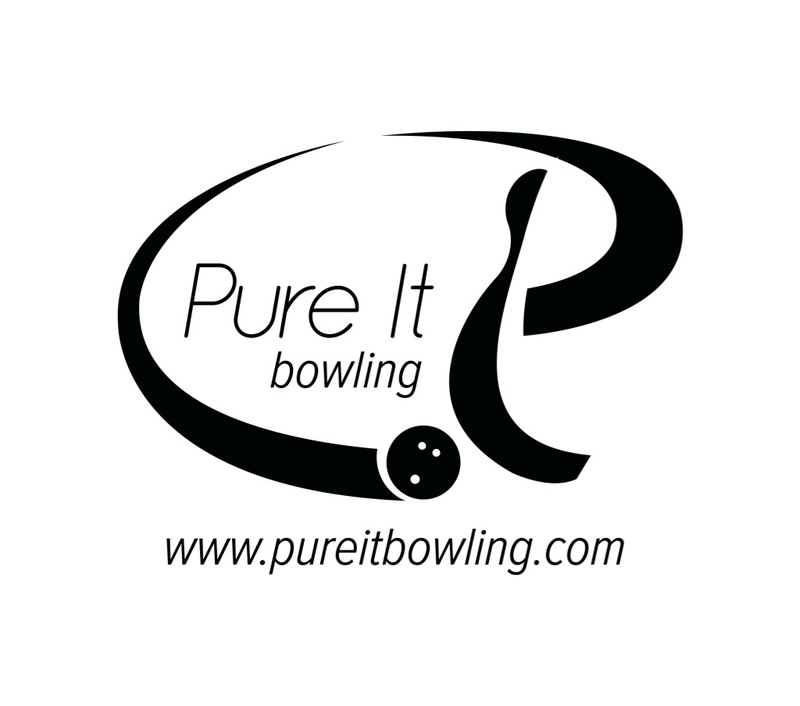 They chew up the lanes pretty quickly and you have a handful of shots before the lanes break down and you’ve got to make a big move or change equipment. Sometimes the big move yields a lazy reaction the deeper you get in since you are asking the ball to cover so many boards. What we immediately noticed with the Crux is its strength…of course. However, the funny thing is that it kind of had to be in its element. What I mean is that when Jeremy started, he tried a slightly more direct line…for him. He wasn’t extremely confident in the reaction. It seemed to quit on him or roll out a little too soon. Well that’s not too surprising considering the snow tire this ball is. So the debate quickly ensued as to which direction to go if it’s already lost its energy, left or right. He decided to move left to give it more room. All I can say is HOLY COW! 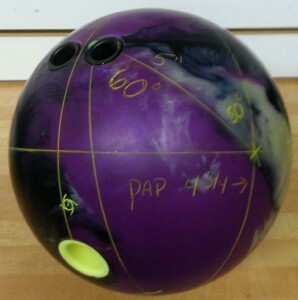 When this ball got some head and midlane oil, it was a complete beast. The ball was just not very happy with not having enough volume and if you pushed it too far outside, it quit and hit weak at the pocket. Dave who has a slightly higher rev rate saw something similar. However, in his case with the higher rev rate and a little more tilt, his ball moved too much. He didn’t have a problem with energy at the pins, the ball was just too strong for the house pattern. Again, he moved in to the 4th arrow and the ball trucks back with massive hit through the pins. Both testers were able to generate high entry angles. In the end, the moral here is that the Storm Crux needs oil. And when it has oil, it doesn’t roll like a typical snow tire but rather, has big hook. When it has oil, it seems to make a mockery of it, moving the way a midline ball would move on typical house conditions. 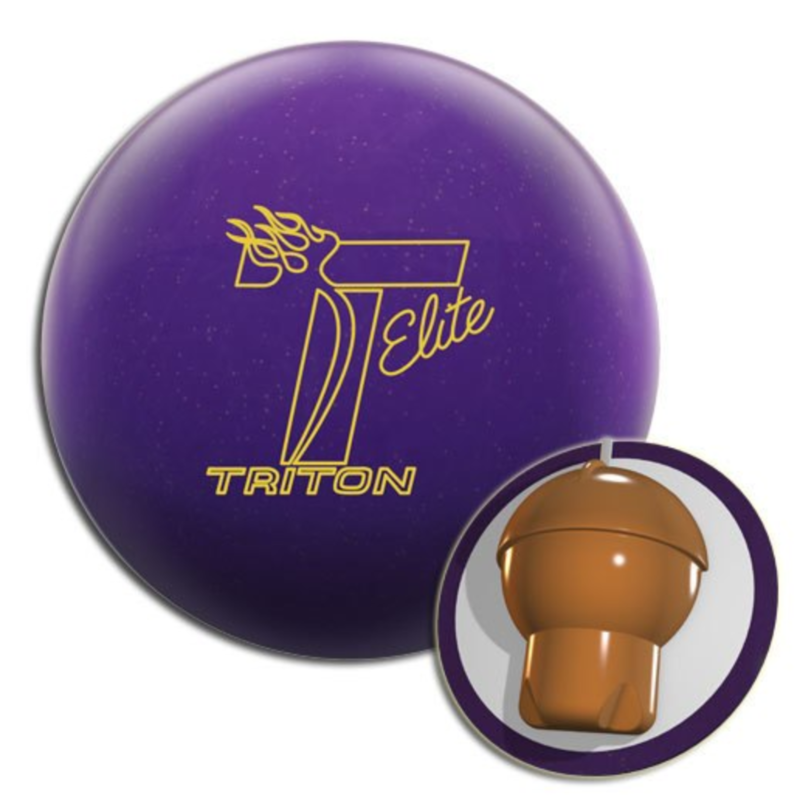 While the aggressive nature of such a ball limits its overall usage, it will sure feel good to have a ball in the bag that can move like this when you face the soup or sport conditions that need control of a snow tire digging in. That tends to give you just a little extra margin for error when a ball can control the midlane and still give you pop off the back. Any review from stroker, and what is the best layout for stroker? 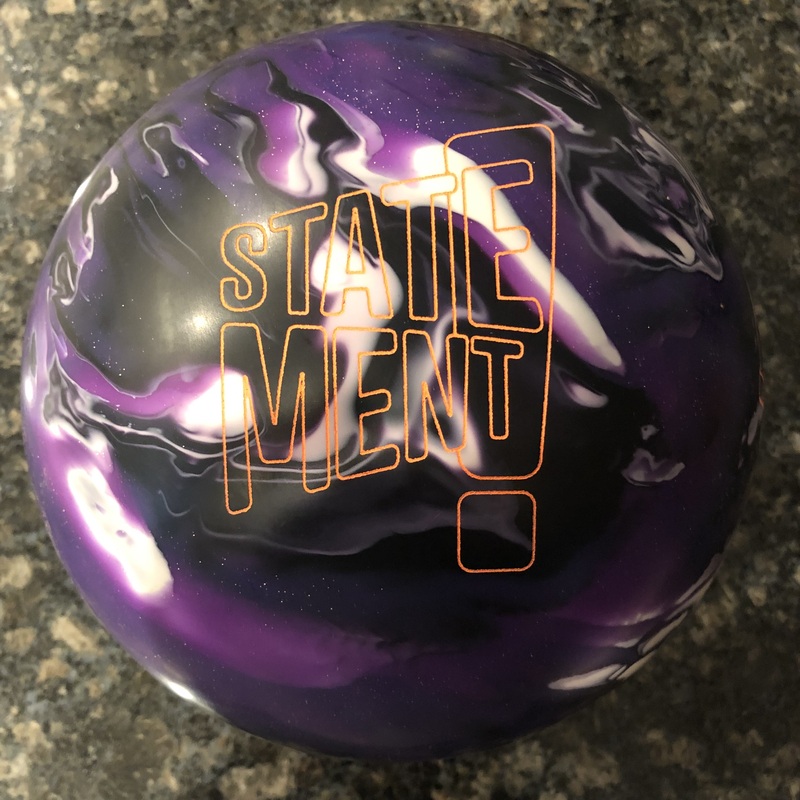 I am thinking of buying this ball.